Featured: Underwater Wedding on Saipan!! "My husband is in the US Navy and first went to Saipan as a port visit 2 years ago. We visited Saipan last year for our honeymoon and again this year! It has crystal blue waters and is a great place to relax. We booked our tours through SaipanBookings and would recommend them for future travels. They arranged pick up to and from our activities as well as fast responses on any questions I had before my trip!" Q: What was the best part of your trip? "I enjoyed spending time at the beautiful beach at our hotel as well as the dinner cruise with my husband. Last year we went para sailing and jet skiing and had a blast with both activities!" "I lived on Saipan with my family for several years and loved it! After I left for school and married Austin, I just had to come back and show him all the places and people I love. My friends and I used to camp out on Managaha all the time and I wanted to do that with him! Talk about the most romantic trip ever! The weather was perfect on Managaha and my husband LOVED it!! We snorkeled in the bright blue water and then pried open some coconuts for a snack. We had the whole island to ourselves for a very peaceful, beautiful night. He loved the crabs all over the beach in the morning and it was super romantic of course. Thanks for being so helpful! You made the whole experience easy and enjoyable. I can't thank you enough!" 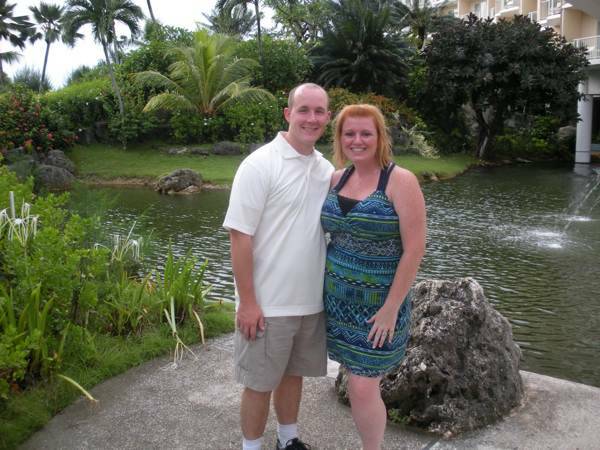 "My wife and I were considering moving to Saipan when we took the trip in December 2009. Walt at DiscoverSaipan helped us to secure the night on the arriving day with a nice and clean hotel in the tourist area. It was also a breeze when we wanted to extend one night with the same hotel. We wanted to stay with a local family and Walt also helped us in finding the homestay. Walt even accompanied us to rental car return and the airline check-in counter on the departure day. We found the service to be reliable and responsive.... We recommend the service to visitors who want to have a tour of Saipan more catering to their individual tastes and/or an off-the-beaten-path experience." Q:What did you like best about Saipan? The color of the water near Managaha island and Memorial Park, and in other locations around the island. It is the color of bright Jade. Just loving it! How safe it feels. During the days that I did the homestay, the entrance was never locked . I used to do that in California so it was not surprising to me, but it would be shocking to a person who has only lived in the urban areas of most cities, where a steel door entrance is a must to fend against break-ins. Beautiful, but uncrowded beaches. Better yet, beaches that are all public! It is definitely touching to a person who has gotten used to seeing signs saying "private property, do not trespass" in many scenery spots in other parts of the US. I know this is probably not an exciting testimonial, but it is true to my heart. "Kind words from Ukraine, via New York (Relocation Tour)"
Americans, (even Jamaicans! )...and more! They've all come to discover Saipan for themselves! Bars, clubs, dancing, performances! Friday is the night! with different colors and cloud formations! Thursday Night Street Market on Saipan! Need on the ground logistics?